We love the Olympic Games. For two weeks, the world comes together to watch the triumphs (and sometimes the tragedies) of the world’s elite athletes. We enjoyed Olympic Winter Games to begin this year in PyeongChang, South Korea and we’re excited for the 2020 Summer Games in Tokyo. 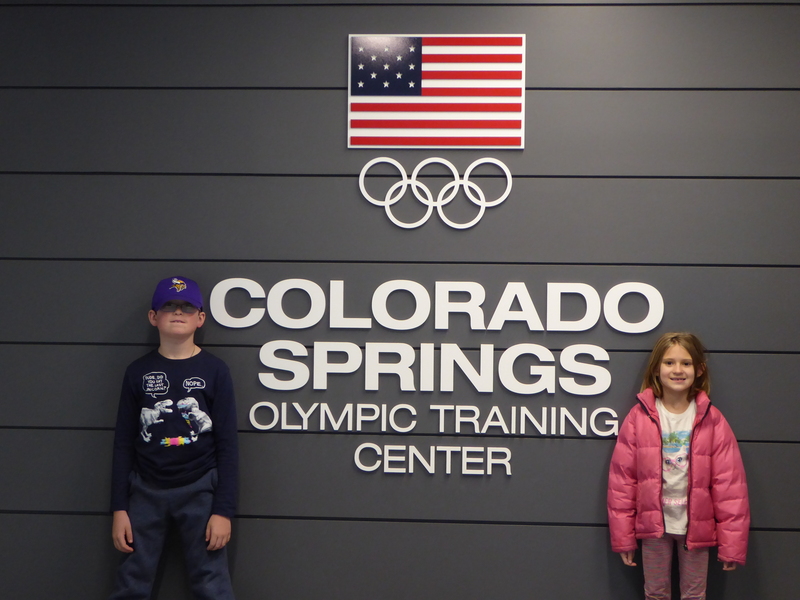 In order to prepare our family for the sport of sitting in front of a television for hours to watch athletes push their bodies, we visited the U.S. Olympic Training Center in Colorado Springs, Colorado. 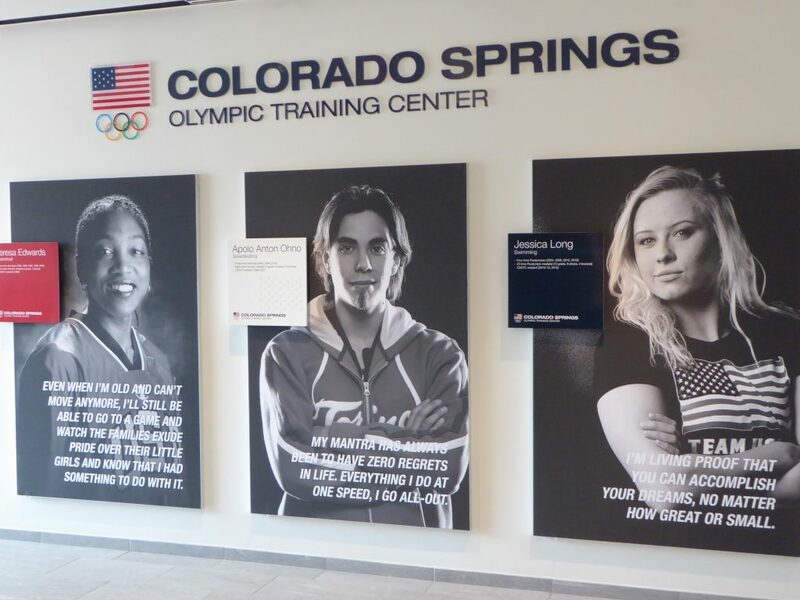 Here, we got insights into what it takes to train for the Olympics and took a gold medal tour of the training facility (yes, we had to have at least one sporty pun). 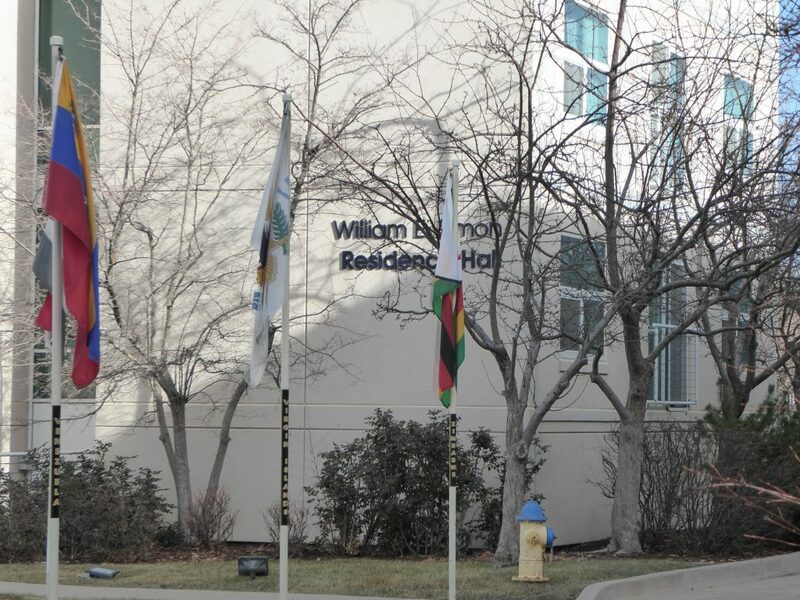 The 35-acre Colorado Spring facility, one of three U.S. training centers, is a former U.S. Air Force base and one time home to NORAD. The facility was sold to the U.S. Olympic Committee in the 1970s for $1. 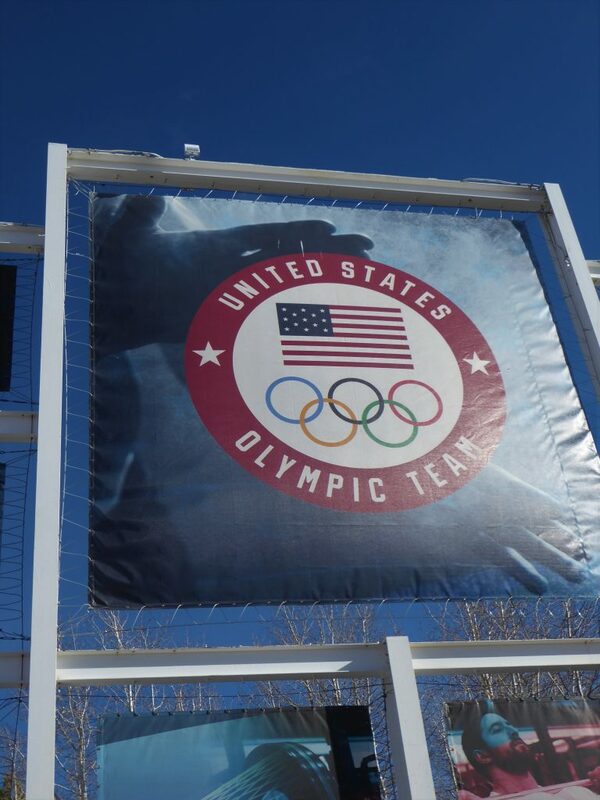 It was the first and largest U.S. Olympic training center (the others in Chula Vista, CA and Lake Placid, NY). 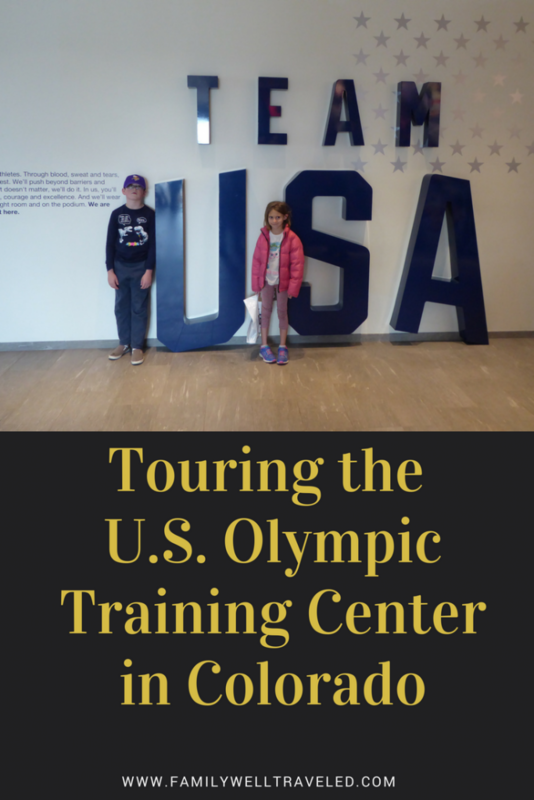 You can visit the Olympic Training Center during daily tours. The grounds house a Velodrome, Olympic-size pool, indoor shooting range, boxing ring, and numerous gymansiums and weight rooms. There are two residents’ halls and a cafeteria for the athletes. When you arrive at the center, you will go to a guard station. At the station, you will be directed to the visitors center. Be aware that the facility prohibits smoking. Also, you cannot have weapons or carry backpacks into the center. You will find locked doors throughout the facility to protect the athletes and the facilities equipment. The facility has visitors center, gymnasium, a swimming facility. I wanted to roam freely throughout the complex with my camera in hand, but I understood the need for security at the center. Still, I longed for an opportunity to break free from our guided tour for some solo exploration. All guests are directed to the visitors center. Here, you can register for a guided tour. Tours run at the top of every hour. 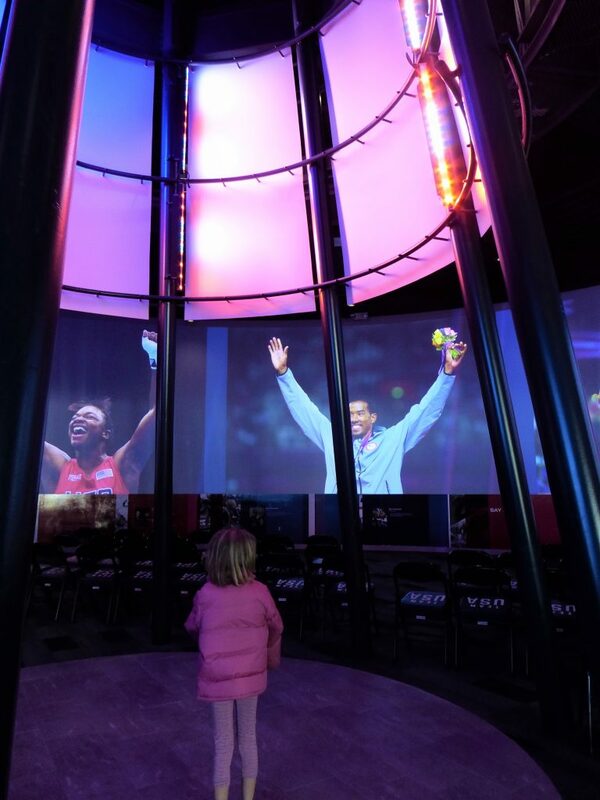 While waiting for your tour to begin, you can explore the building, which includes a bobsled the kids (and adults) can get in, displays of uniforms worn by medal-winning athletes, and interactive computer screens that allow you to learn about the athletes and stories of past Olympic games. Of course, there is a gift shop, which only accepts Visa (the official sponsor of the U.S. Olympic Team). Our tour began with a 15-minute video which highlights the training regimen of some of the Olympic and Paralympic athletes at the center and the rehabilitation and sports medicine facilities on site. The video concludes with stirring video of famous Olympic moments. Our tour director, Bob, led us and about 50 other visitors throughout the complex. The tour is a fast-paced jaunt through some of the facilities. Wheelchair access is abundant throughout (the center, after all, provides service for Paralympic athletes), and Bob was cognizant of the interests and needs of guests both young and old. We were led out of the visitors center into an outdoor quad area where we saw flags from all the nations that have sent athletes to the Games. Also, on top of the visitor center building is a Olympic cauldron, the flame remaining lit during the Games. Throughout the quad, we saw sculptures and other artwork representing various sports and athletes who have competed in past games. Of course the highlight of the tour was seeing some of the facilities. 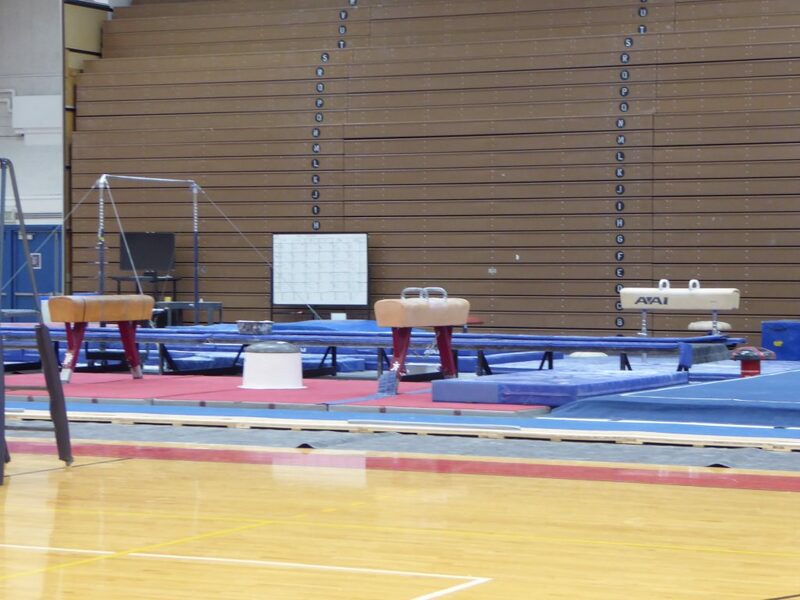 Luckily, we saw much of the gymnastics apparatus out on our tour since there was a juvenile competition held that morning. While there, we also saw a youth Judo tournament, and saw some athletes training in both the swimming pool and the velodrome. One of the more interesting facilities to tour was the indoor shooting range. We enjoyed learning about the skill and training of our award-winning sharpshooters. The kids also enjoyed the boxing center, complete with a boxing ring and a roll-up garage door for those hot summer training days. 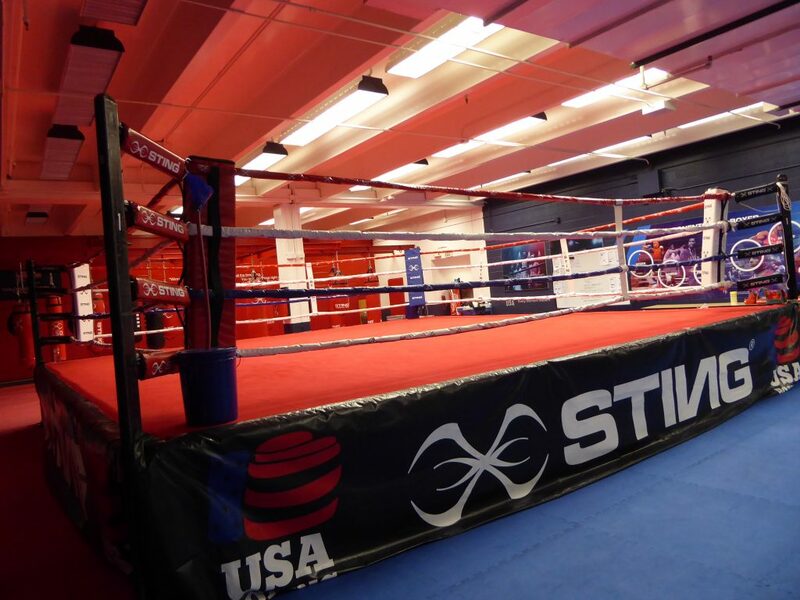 Boxing ring at the center. The final stop on our tour was to the training room with state-of-the-art training equipment for all of the athletes. If you are lucky, you may see athletes from all of the sports together using the facility. Athletes from all the disciplines workout here. We enjoyed our visit and tour of the center. Unfortunately, we saw few athletes actively training since we toured on a Saturday afternoon. Also, the quick pace to the tour left us wanting a little more time to stop and take pictures. 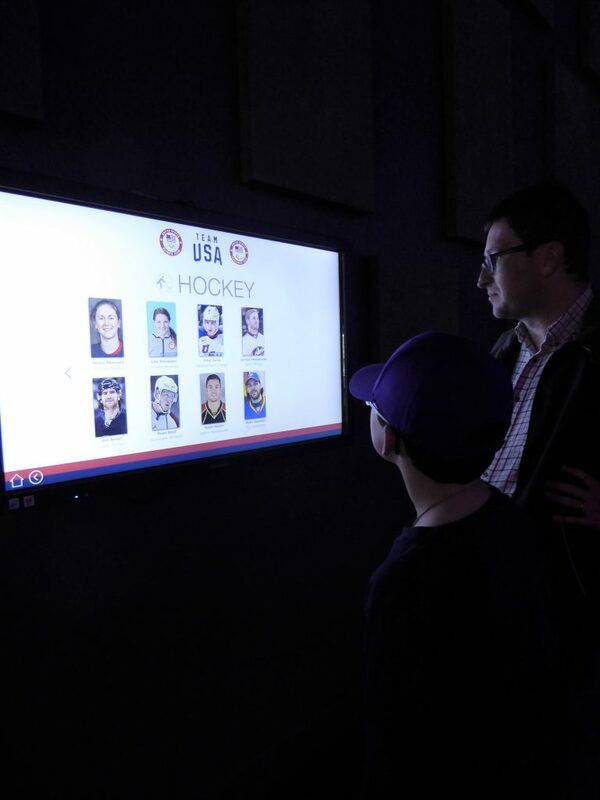 We really enjoyed the visitors center and the videos which gave the adults a nostalgic reminder of games past and the kids some history of past athletes. 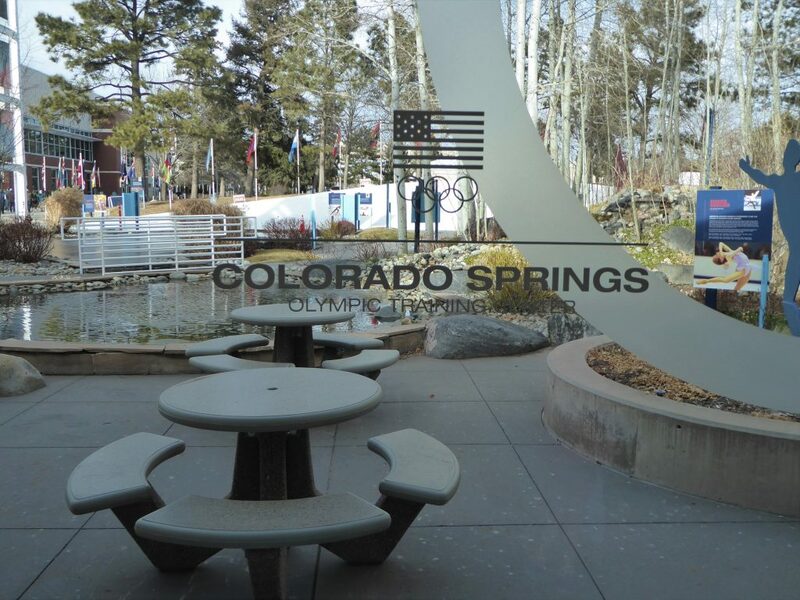 Disclaimer: We were delighted to be the guests of the U.S. Olympics Training Center. As always, all opinion are our own. You can read our disclosure here. We Tour the Space Foundation Discover Center in Colorado Springs. While in Colorado Springs, stay at The Great Wolf Lodge Indoor Water Park. I love going on a tour of actual facilities rather than just a museum. Although there were few athletes, it does seem really awesome to see their actual training equipment in person. Just reading this post made me excited for Tokyo 2020!! It was really exciting for our family. Had no idea about the existence of this place, but I can see it would be really interesting for anyone with a strong interest in the Olympics, and especially in the training process as well. Thanks for the heads up! It is interesting to see how the athletes train for their events. Thank you. Yes, there is a lot to do and see in Colorado. We’re not fans of the Olympic Games, but it’s good to know that you can actually tour the facilities! It’s cool that you got to see the youth Judo tournament, and other athletes training while you were there: I can imagine that it was awesome for the kids. Our kids loved it. And we were like big kids, enjoying every minute, too. This tour is so cool! 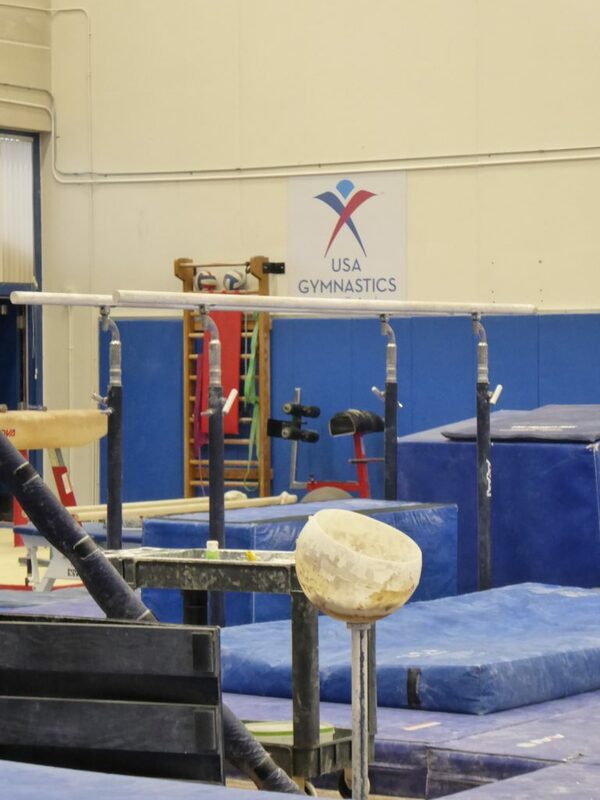 It is so nice to see the athlete’s really doing their very best during their training and that is awesome that the kids witnessed them performing some routines. 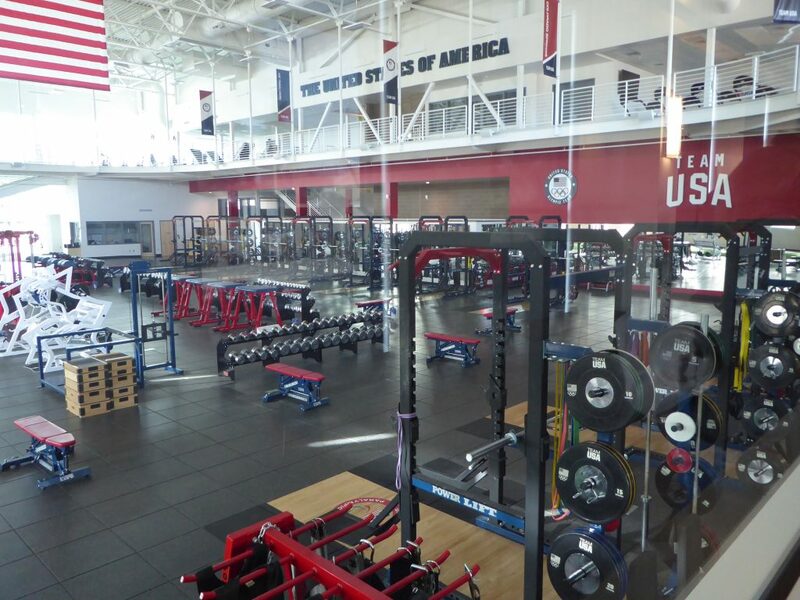 So cool to see all of the facilities of this training center. Thanks for sharing this awesome adventures! For sure your kids really enjoyed every moment. Sounds like a fun experience for your family! 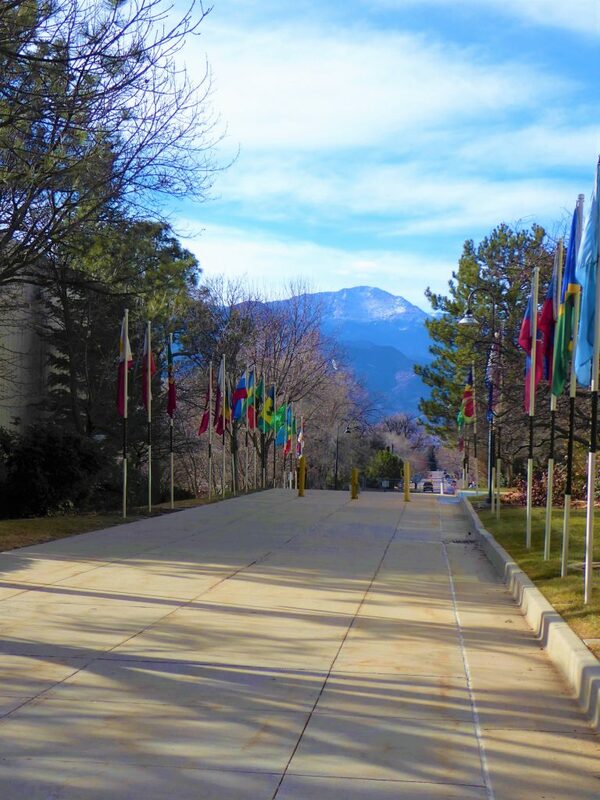 I love the view of Pikes Peak from the training center and bet it was cool to see the actual equipment the athletes have used. I might just have to take a visit here whenever I make it to Colorado again! There are some great views in Colorado Springs. It probably should have motivated us to go to the gym too. It’s not a typical place to visit so it’s nice to get the behind the scenes experience. I’m sure you kids enjoyed learning and seeing it all. I didn’t even know they had tours of their Olympic Training Center. We hope to visit Colorado Springs someday (we’re from nearby in Arizona), so I’ll definitely remember to put this on my list of possible places to see. 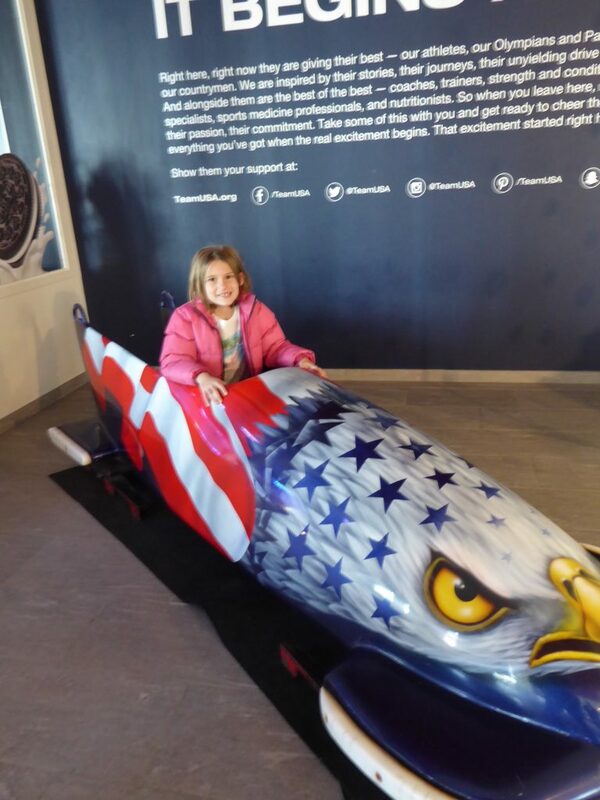 I’d have definitely wanted a picture in that bobsled! This looks like such a great visit! Admittedly, I’ve always been a fan of the summer Olympics and not so much of the winter sports. However, I’ve been aching to see Colorado for some years now, and this looks like a fantastic place to go! I didn’t even know there was an Olympic training center there. My parent actually lived in Colorado Springs about 50 years ago and have told me about all of the beauty in that area. Seems like a great family trip! Hope you can make it there someday. We keep saying that we need to get to an Olympic Games too.